If you're planning a trip to the Florida Keys, Key Largo is a great destination for a weekend getaway or a short day trip, full of exciting things to do and a host of great events year-round. Located just about 60 miles from downtown Miami, this small piece of paradise is well within reach, offering tourists pristine beaches, fantastic resorts, and plenty of underwater and island adventures to keep them entertained all year long. From the submerged Jules Underwater Lodge and the John Pennekamp Coral Reef State Park to the historic Florida Keys Overseas Heritage Trail and beautiful Dagny Johnson Key Largo Hammock Botanical State Park, Key Largo has plenty of adventures by land and sea. If you're looking for a truly unique experience on your trip to Key Largo, Jules' Undersea Lodge is a hotel located 30 feet below the water's surface, making it America's only underwater accommodation. 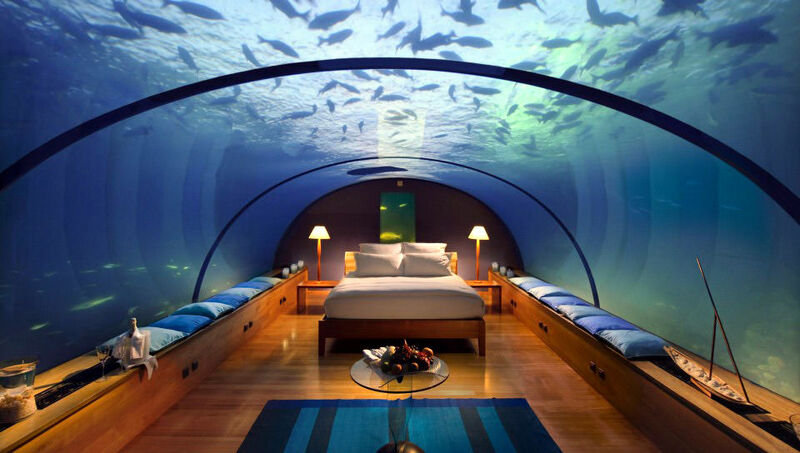 Obviously, you must be a diver to visit this hotel, but it's certainly a story you'll share for years after the trip. Steven Tyler and Tim Allen have stayed here in the past, as well as former Canadian Prime Minister Pierre Trudeau. For those who prefer to stay on land, there are two beaches (manmade) and a few nature trails within John Pennekamp State Park, where camping is available on-site, but you should make sure to book reservations early as the sites are popular and fill up fast. For a more refined setting, the Keys also offer a number of top-rated resorts and private beaches where you can spend your vacation relaxing in style and comfort. New hotels pop up every few months, each somehow better than the last. A glass bottom boat tour allows visitors to view marine life from a distance from the comfort of a boat. On the tour, the Spirit of Pennekamp, a 65-foot, high-speed catamaran glides through the water over sunken vessels and shallow reefs. Glass panels in the floor allow visitors to see a fraction of the Florida Reef Tract, a 221-mile coral path that parallels the Florida Keys from Key Biscayne in Miami to the Dry Tortugas west of Key West. Of course, most visitors want to see the fish, and the reef never disappoints; colorful parrotfish, menacing-looking barracudas, and enormous grouper are almost always spotted during the tour. The best way to see the underwater beauty of the Florida Keys is up close and personal via one of many scuba diving adventures offered in the Keys. The dive shop at John Pennekamp State Park offers certified divers the chance to visit the coral reefs for a small fee. You might even see the "Christ of the Abyss" sunken sculpture (pictured above) on your dive. If you find diving intimidating or don't want to take the time to learn the necessary skills, the clear water of Key Largo makes snorkeling just as enjoyable an experience. John Pennekamp State Park offers snorkeling tours. After a brief orientation on the use of the snorkel, you'll get about 90 minutes of in-water time to enjoy the beauty of the coral reefs. The Gallery of Kona Kai, located in the Kona Kai Resort, allows guests to not only experience local artists' creations but to sleep among them as well. Co-owners and husband and wife Veronica and Joe Harris first started collecting art in the 1980s before moving to Key Largo in the mid-1990s to open the resort. The Kona Kai Gallery opened a few years later, in 1996, and has since expanded to include work from renowned artists around the world. First opened in 2013 as a not-for-profit organization dedicated to preserving the history of the Keys, the Florida Keys History and Discovery Center is located in a two-story building in nearby Islamorada. 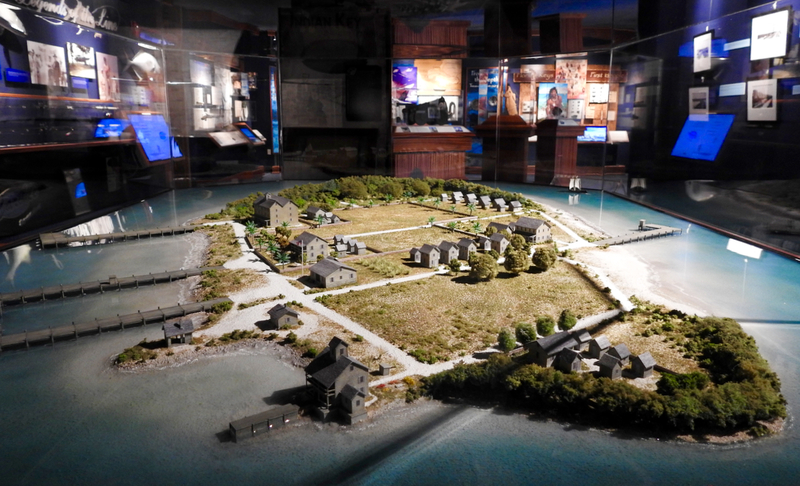 Permanent exhibits on display in 2019 include a model of the Indian Key island in the 1840s, the "Legends of the Line" fishing history display, and an interactive exhibit called "Pirates, Wreckers, and Salvage" that explores the history of pirates in the Keys. With over six miles of trails, 80 protected species of plants and animals (including the American crocodile), and a number of events planned throughout the summer, the Dagny Johnson Key Largo Hammock Botanical State Park is an ideal destination for nature enthusiasts with some time to kill in the Keys. Be sure to check out some of the largest ​growths of West Indian tropical hardwood hammocks in the United States here, too. 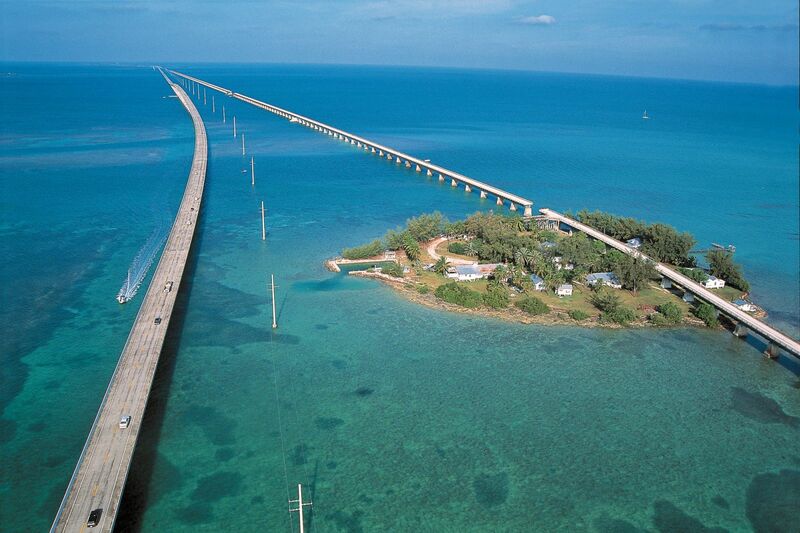 Running the full length of the Florida Keys, the Overseas Heritage Trail is a 90-mile paved network of recreational trails great for walking, biking, hiking, and exploring the islands without a car. Although this trip might take a few days to complete on foot, you can walk all the way down the Keys on this historic trail, just like the first settlers once did. If you're in the mood for a light workout on the water, you can choose between three major kayaking tour agencies or buy or rent your own kayak and set off into the water at your own pace. Garl's Coastal Kayaking Everglades is one of the most popular agencies in the Keys, offering an immersive adventure through either the Everglades National Park or along Key Largo marine shorelines. Avid fishermen and newcomers to the sport alike will enjoy reeling in big fish that can only be found in the ocean. If you're a fan of fishing, the best way to catch the biggest fish is to hire out a charter company like Graceful Fishing Charters to take you out for a day of relaxation and reeling in giant wahoo, marlin, tuna, porgies, mahi-mahi, and even sharks. ​Whether you want to get your hair done for a night on the town at Up Your Hair Salon and Blowout Bar (don't worry too much about perfect hair though, the beach does wonders for it already) or want to spend the day getting a relaxing massage at Healing Waters Massage Therapy in nearby Tavernier, Key Largo is sure to be a relaxing getaway from everyday life. There's plenty of places to grab some local cuisine and fresh-caught fish dinners in the area. Key Largo is home to Jimmy Johnson's Big Chill, one of the Key's most entertaining restaurants which also won the Key Largo Cook-Off for the appetizer, entree, and dessert categories. Additionally, right on the shore of Lake Largo, the Pilot House Restaurant & Marina is a family-friendly restaurant featuring fresh local seafood and domestic steaks as well as a slew of unique family-friendly activities. With daily sunset live music and happy hours, Snook's Bayside Restaurant and Grand Tiki Bar is a great place to dine on the ocean while sipping on some island-style drinks. 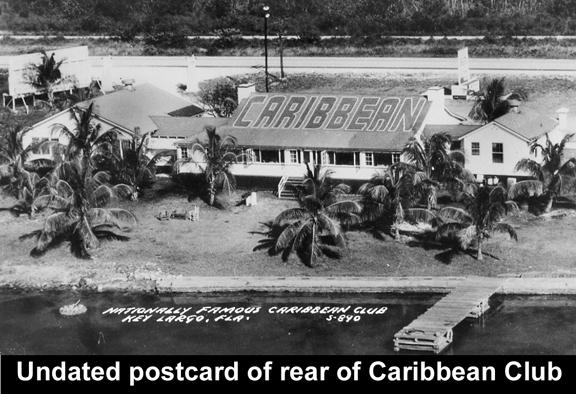 If you're just looking for a night of drinking and dancing, the "World Famous Caribbean Club" in Key Largo's oldest bar (opened in 1938) still in operation, which is accessible by car, boat, or bike. Key Largo hosts a number of great events throughout the year including The Annual Garden Walk, Jimmy Johnson's National Billfish Championship, Key Largo's Original Music Festival, the Annual Coralpalooza, the Annual July 4 Parade and Picnic, The Great Annual Fish Count, and a slew of seasonal and holiday events and celebrations all along the Florida Keys. Residents of the Florida Keys are known for their resourcefulness and skills, especially when it comes to creating some of the best local crafts and handmade clothing. As a result, there are many shops and boutiques in Key Largo that are great destinations to pick up some local souvenirs. 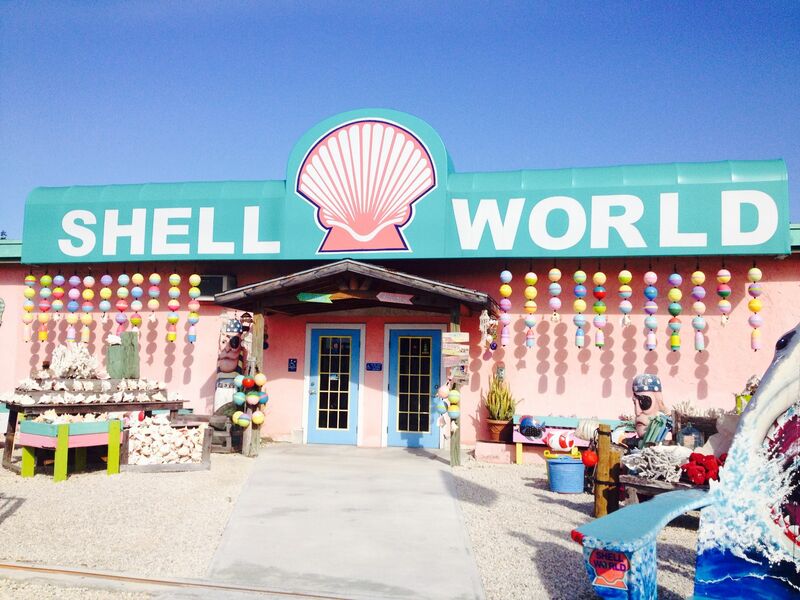 Shell World is full of some hand-collected ocean trinkets while Florida Keys Jewelry sells some custom pieces you can't find anywhere else—there's no shortage of places to find one-of-a-kind souvenirs in Key Largo. Learn more about the "Diving Capital of the World" at the official Florida Keys Visitor's Center, located right in the heart of Key Largo. Since the late 1930s, the Key Largo Chamber of Commerce has helped residents and guests alike unlock the Florida Keys, offering all sorts of community affairs and resources to guests from all over the world. For the past several years, Escape Rooms have become highly popular across the country, and Key Largo hosts its very own: The Lost Keys Escape Rooms. With several themed rooms to choose from—including "Escape Pirate Island," "The Conch Republic Diamond Repo," "The Pharoah's Tomb," and "The Ray of Enlightenment: The Illuminati Experience"—you're sure to enjoy this little quest in the Keys. With several options to choose from, Key Largo is a perfect start to a sailing trip around the Florida Keys and the Everglades. Key Lime Sailing Club and Cottages, Calypso Sailing and Pirates Choice, and the Quicksilver Catamaran tour agency are all great places to start if you're looking for a sailing adventure to complete your trip. The Florida Keys Wild Bird Rehabilitation Center offers a variety of environmental conservation classes and demonstrations as well as opportunities to volunteer to help them rescue injured birds. Founded by "The Bird Lady" Laura Quinn and officially opened in 1991, the Center has saved thousands of native, wild, and migratory birds in the area. Although the founder has passed on to fly with the birds, you can still come by and help her legacy live on. 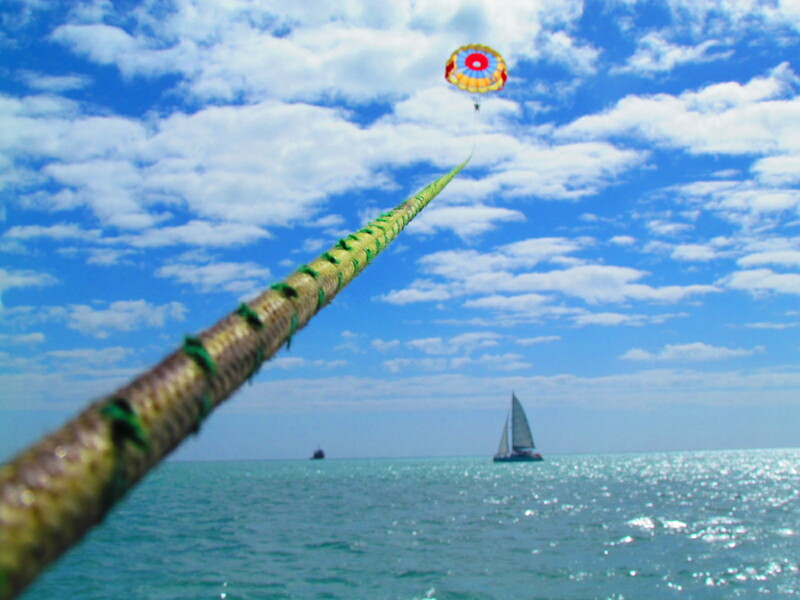 If you want to get a birds-eye view of Key Largo, there's really no better way to do it than parasailing, and Key Largo Parasail offers competitive rates for this breathtaking experience. Even better, you can choose between solo flights or flights with up to two of your friends to share in the magic together. Jetpacks aren't just a cool feature of sci-fi movies and literature—you can actually try one out on your trip to Key Largo. Although there are a number of agencies that allow visitors to rent out these new futuristic toys, Florida Keys Jetpacks seems to be the preferred company for most people who visit the islands. When it comes to picturesque and memorable moments on your vacation to Key Largo, no trip would be complete without swimming with the dolphins. 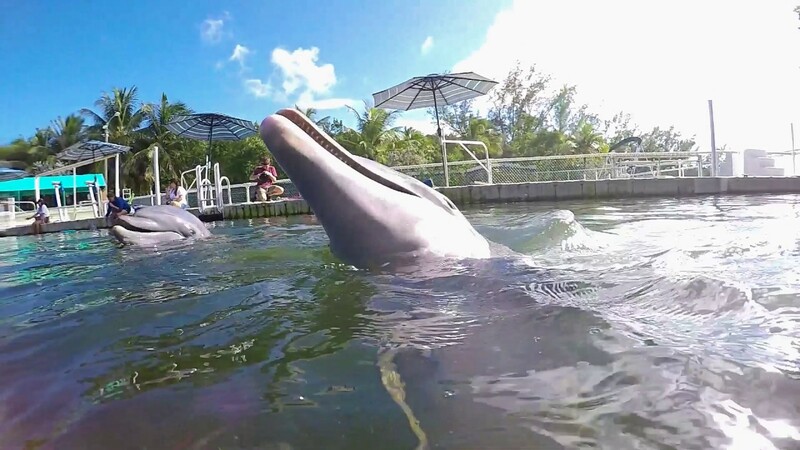 Head over to Dolphin Cove on the north side of Key Largo and splash around in a five-acre lagoon with a whole pack of these loveable creatures. Alternatively, you can opt to take a guided "natural swim," which lets guests swim with wild dolphins who aren't trained to swim and interact with humans. If none of these other options get you excited about the Florida Keys, maybe all you really need to do is sit on the beach, grab a cocktail, and enjoy the near-perfect weather and beautiful vistas all around you. Key Largo is full of beautiful beaches and swimming holes, and you might even spot a dolphin without ever having to move.